This is crazy. Today, Siliconera has broken the news that Bandai Namco has put out a recruitment listing for a “Smash.Bros 6.” and the report states it’s coming out in 2015. According to said report, Bandai Namco posted an ad on a Japanese career job opportunity website which is Monster but in Japan called: e-Career FA. The ad in question calls for a listing of programmers needed for a “Smash. Bros 6.” to be released for the Wii U and Nintendo 3DS to be released in summer of 2015. The page further states that the project has 120 people working on it and expect the number to increase to 200. They’re in need of programmers for different roles, who will then be put into different teams to handle characters, stages, 3D programming, motion, game mode, mini-games, menu, UI, and more. This is confusing to say the least because the upcoming one for the Wii U and Nintendo 3DS will be the 4th entry in the series and Sakurai has stated that both the Wii U and the 3DS version of Smash 4 are more or less the same game with a few details here and there. The only difference is that the Wii version will focus on stages from Nintendo console games (That nobody will play on) and the 3DS version will focus on stages from Nintendo portable games (That nobody will play on). Take this “news” with a grain of salt because as it stands it’s a rumor at best. Logically, the “6” in the title could be a typo because last time I checked the number that comes after 4 is 5. The “6” could be misdirection code for “The upcoming Smash Bros game has been delayed till 2015” If that’s the case then the Wii U is screwed as it’s not selling all that well and a delay in what could be a huge title that could save it would be the end of it. 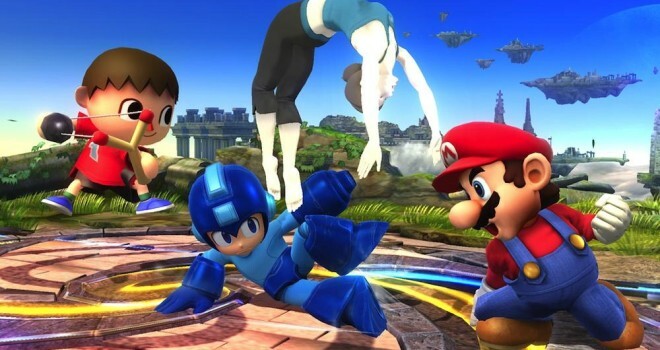 Another theory is that Smash Bros. will go the way of other fighting games and have updates added upon the same game like with Street Fighter and Persona 4. According to various Japanese sources, the ad listing in question is not a fake. Full Disclosure, I will link the said article in question but if you can’t read a lick of Japanese then it’s pretty useless to you. Who knows what this could mean. Maybe Nintendo will fully elaborate at tomorrow’s Nintendo Direct which is focused on the new Smash Bros.